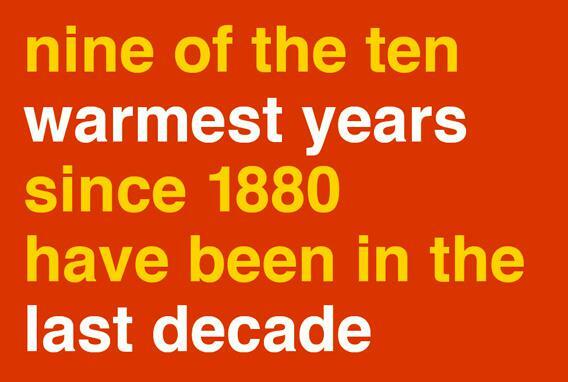 Global warming: Nine of the ten hottest years since 1880 have been in the past decade. 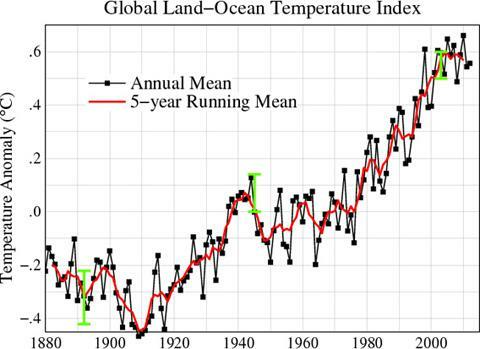 Global annual mean surface air temperature change, from 1880 - 2012. 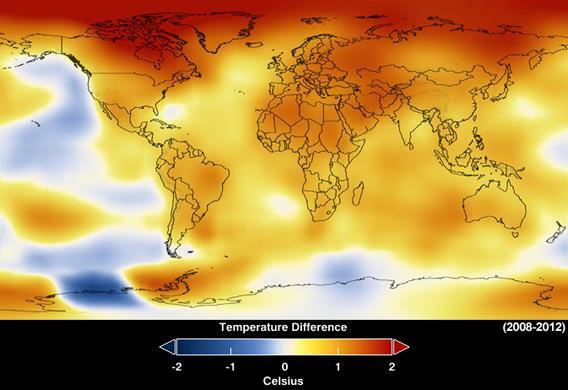 Temperature anomalies—the deviations from average—for 2008 - 2012. …can we please stop lying about it? For more info, please see NASA’s new Climate 365 page, or visit their Climate 365 Tumblr account.